Wearing beautiful earrings adorns your ears and gives you that complete pretty girl look. 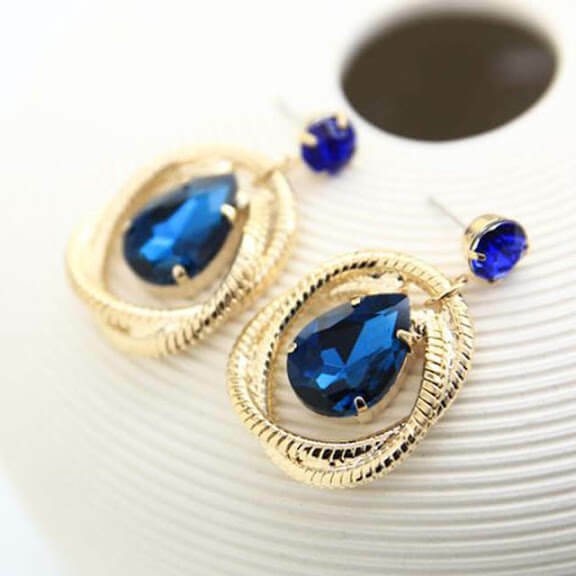 Check out these gold plated earrings as you go for your daily activities or that occasion. If you will like a touch of blue and gold in your wedding attire then this will be a beautiful choice for you. We offer door step delivery nationwide. You can also pick up from our store in Lagos. Here is the address of our bridal boutique in Lagos: 8, Ajayi Aina Street, By Deeper Life Church, Gbagada, Lagos. Click here to chat with us directly on Whatsapp.